I’m known as the technology nerd around our office. When you compare my knowledge of technology, especially computers, to some of the guys I grew up with have me buried. But, compared to the late boomers that I share office space with, I am practically a robot as I might as well have a computer chip for a brain and a GPS as a sense of direction. To be truthful, I catch myself reading technology blogs more than I do world news and find that a lot of my time is used being glued to an electronic device. As I write this blog, I can’t really figure out why I am drawn to technology in these ways. And, that is the problem. I haven’t really thought about it. One of my favorite scenes from the sitcom “The Big Bang Theory” is when the guys are speculating whether or not Sheldon is a robot. He is so immersed in everything technological and scientific, he operates from a place where only fact and theory are relevant. If you watch this show very often, it makes this clip even funnier. 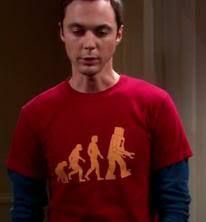 Because Sheldon is so into technology and logic, he is kind of a robot. And if we are honest, we depend so much on technology that it becomes a part of us. We become one with the things we are using to connect and communicate. Don’t believe me? Try leaving your cell phone at home for a day. You might as well give up caffeine. Your day will start rough, you will be grumpy, and you will likely get the shakes. “I have the right to do anything”—but I will not be mastered by anything.” 1 Cor 6:12. This is not how we treat technology. We try to regulate our diets to remain healthy, avoid drugs and alcohol so we do not become addicted, and check the fluids in our cars so they will run smoothly. Yet we leave technology unchecked. We become mastered by it. As in all things, technology must have its place, so not to master us. We must know where technology stops and we begin. We aren’t robots. We are people who need relationships and community. You don’t really see robots in community, do you? You don’t see robots having coffee or sharing huge life events, or crying on each others shoulders (I am laughing as I am picturing this by the way). God created us to be in relationships and experience what is real. Technology isn’t going to stop that, but left unchecked, it can sell us what is not real. How can we keep technology in check? How do we create space for both technology and the real? Boundaries. I’m certainly not saying I’m a master at that, but I think that’s what we need. My husband and I ate at a local restaurant a couple of weeks ago and observed a family at a table across from us. There was a mom and a dad (that’s a plus) and 2 teenage boys and a younger girl. Both parents and the boys were on their electronic devices from the moment they sat down until their food arrived (and we left shortly after that–so not sure how the eating of the food and the electronic devices played out). Almost no conversation took place. The young daughter just sat there looking around. I felt really sorry for her. What a missed opportunity for that family to share some important time together. Easy for me to say from my place in life where my child is grown and gone from the home, but if I had children at home, the rule would be: NO TECHNOLOGY AT THE TABLE. I have to admit remembering that the rule at our family dinner table was….No Singing at the Table. That makes me smile. I appreciate what you all are doing here. Thanks. Thanks for contributing, Joyce. I think that family dinner scene is all too common (even in my own home). And I think you said it well – “What a missed opportunity”. That is what drives me. I don’t need any more rules for the sake of rules, but I get the feeling there are tons of opportunities I am missing because I am distracted by my devices. I don’t want to miss opportunities to connect with my wife & kids. Or my friends. Or a random someone I never would have noticed had I not created margin to do so. To me, this is what it’s all about. I want to make sure that the technology in my life is helping me connect, not distracting me from doing so. Thanks for joining the conversation and sharing your insight!